Has olvidado la contraseña de tus RARs? No te preocupes, esta utilidad te ayudará a recuperarlos muy fácilmente. El programa extrae las contraseñas de ficheros RAR, usando el ataque basado en la "fuerza bruta", o a través de diccionarios que podrás añadir tú mismo. Thank you for this useful post. This is very useful information for my work. As of late I downloaded an amusement document from deluge and well same thing happened to me. 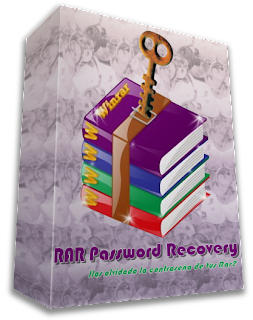 So you have to think about the strategy to discover the secret key of a RAR file. I will share one of experience, which will assist you with addressing the issue. As of late I downloaded an amusement document from deluge and well same thing happened to me. It has a secret word and I had a go at scanning for web for quite a long time to get a solution. eres el numero 84042 visitantes (196234 clics a subpáginas) ¡Aqui en esta página!